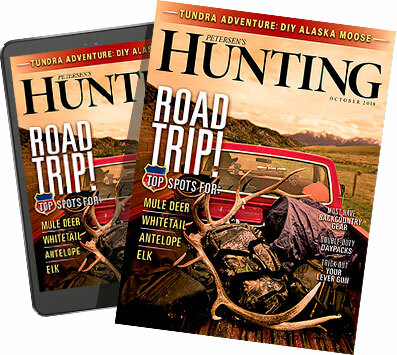 Editor's Note: I always have two to three pounds of cooked ground venison in the freezer, and a pound thawed in the refrigerator ready to go for a variety of different recipes calling for ground venison. In a small skillet, preheat 2 tablespoons of olive oil over low to medium heat. 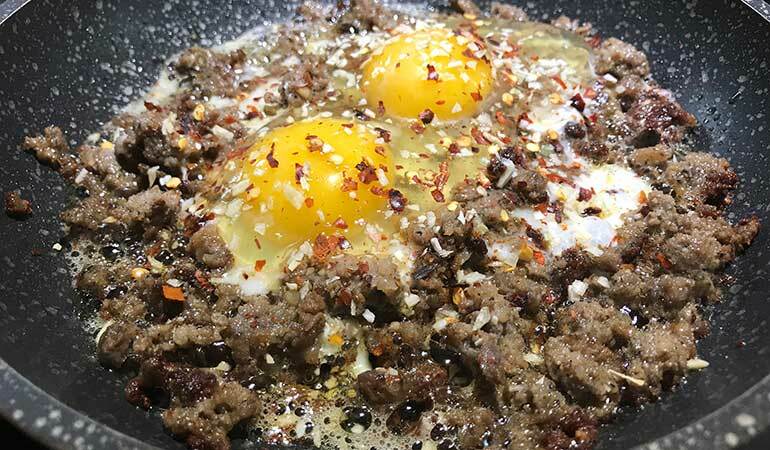 Scatter precooked ground venison breakfast sausage in skillet, stir until heated. 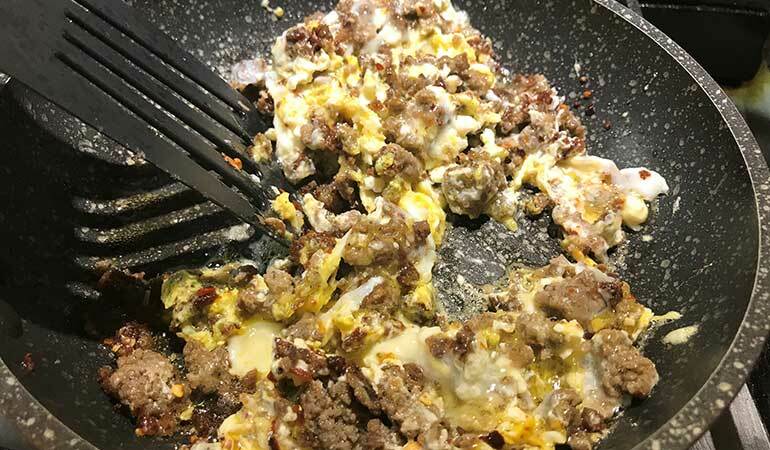 Crack open and pour two medium-size eggs over venison sausage. Add crushed red pepper and onion flakes to your liking. When eggs start to cook, begin to stir/scramble the mixture together until eggs are fully cooked. 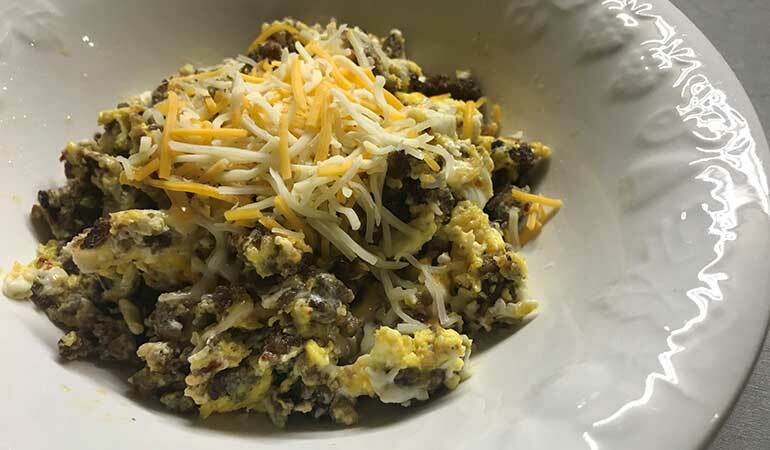 Dump venison egg scramble into bowl, add a few drops of original Tabasco sauce, top with shredded cheese.